If you ask me, Nutella should be considered one of the four main food groups. 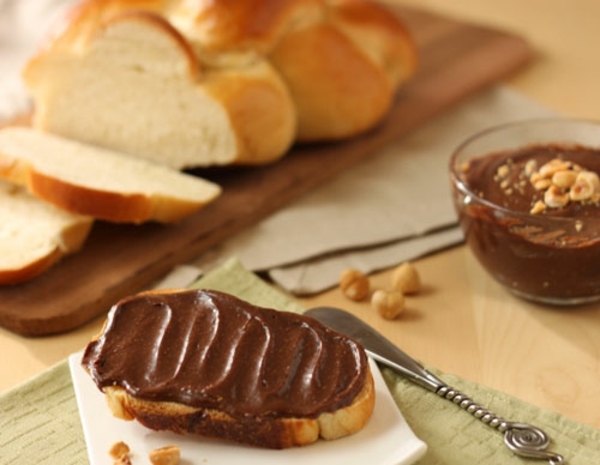 This chocolate-hazelnut spread has it all: healthy fat and protein from nuts, heart-healthy antioxidants from the dark chocolate, a touch of sweetness to fulfill that…um…sugar requirement…okay, so it’s not quite ready for a starring role on the food pyramid. Who cares, when it tastes so good? The first step is to toast the hazelnuts. 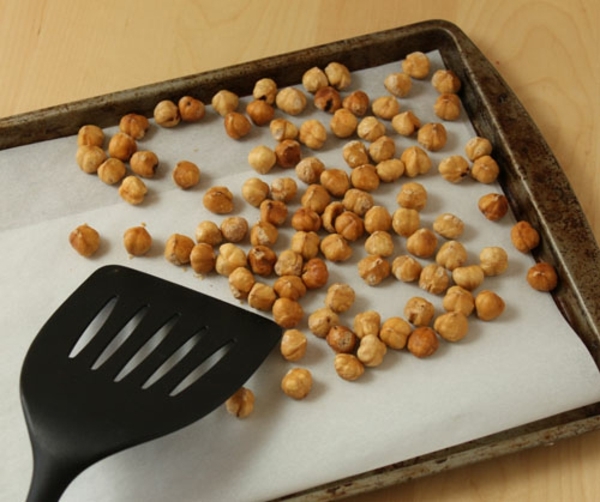 If you use the roasted unsalted hazelnuts from Oh Nuts, they technically don’t need to be toasted, but I think toasting nuts, even pre-roasted ones, adds a depth of flavor that’s important to the finished product. So place your nuts in a preheated 350 degree oven, and toast them until they’re brown and fragrant, about 10-12 minutes. Be sure to stir them every 3-4 minutes to keep them from burning. Once they’re toasted, set them aside until they’re no longer hot. The food processor is going to do most of the work in this recipe, so prepare yourself for a lot of food processor pictures. 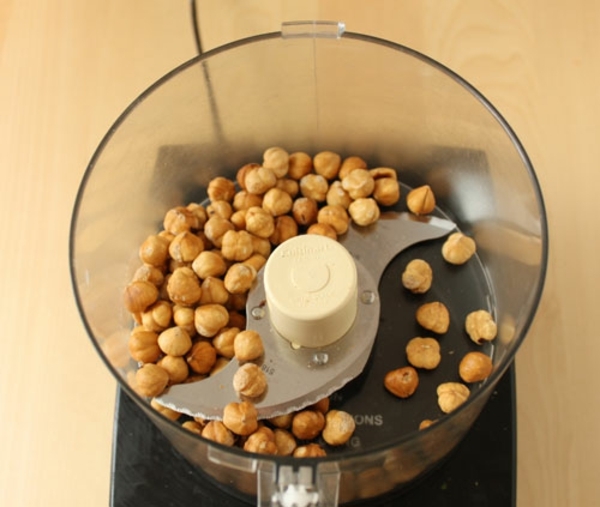 Start by adding the cooled, toasted hazelnuts to the processor bowl. 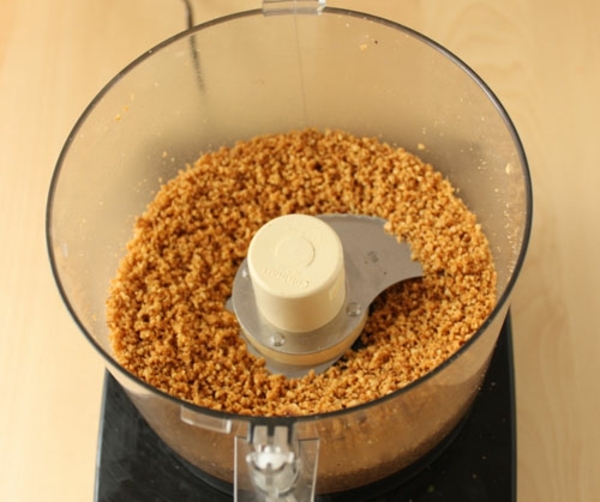 Turn the food processor on, and after a minute or two you’ll be left with very finely ground hazelnuts. Wonderful for sprinkling on pastries, but that’s not what we’re going for, so keep processing. After another minute, the nuts will start to clump together around the blade, and you’ll find you have a smooth paste like this. Add a touch of salt, and you’ve create a tasty hazelnut butter! 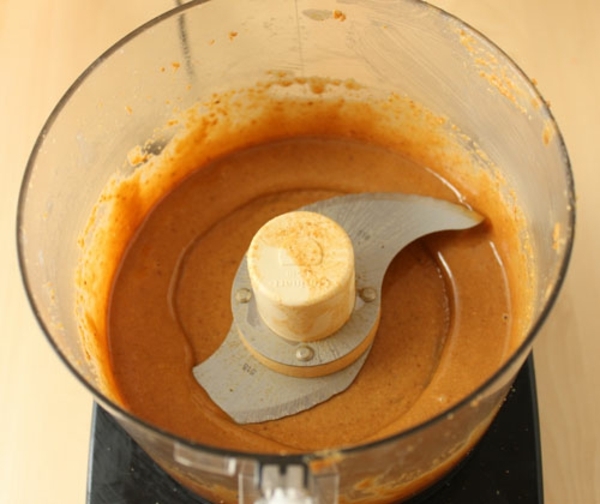 But you didn’t come to this tutorial to learn how to make hazelnut butter, you came for Nutella, so turn that processor back on…. Success! After about 5 minutes, your hazelnuts should be processed into a liquid. Scrape down the sides and the blade and process until there are no lumps remaining. Set the hazelnuts aside while you prepare the chocolate portion of the recipe. 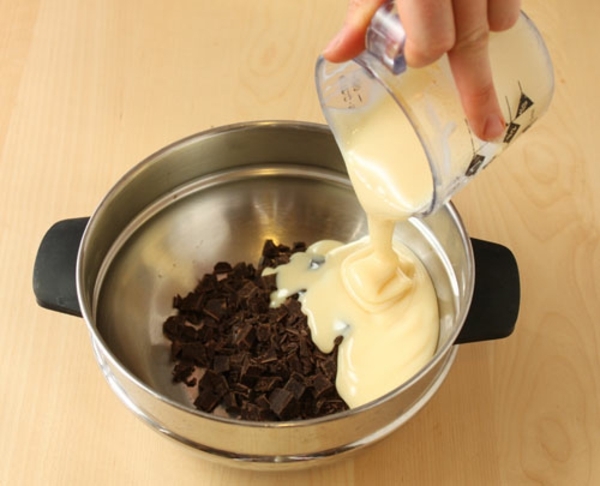 The chocolate will need to be melted, so you can either use a microwave-safe bowl, or use the double boiler method on the stovetop. 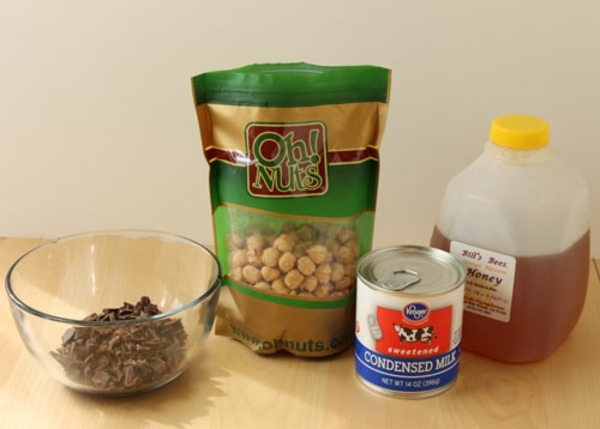 Whichever you choose, combine the chopped chocolate, condensed milk, and honey in a bowl. 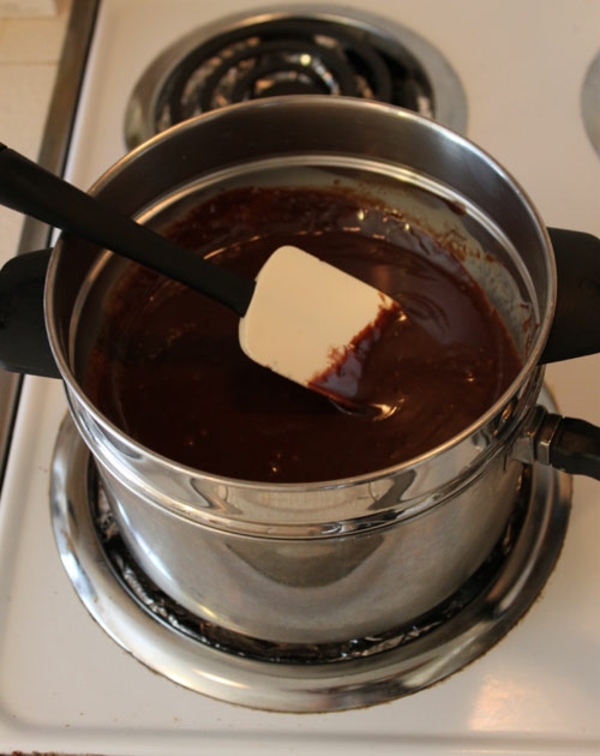 If you’re using a double boiler, put the bowl on a pan of simmering water on the stovetop, and heat it, stirring frequently, until the chocolate melts and the mixture is smooth. If you’re using the microwave, be sure to stir the mix after every 30 seconds to prevent overheating, and stop once everything is melted together. Now look, you’ve barely done any work and the Nutella’s almost finished. It’s magic! 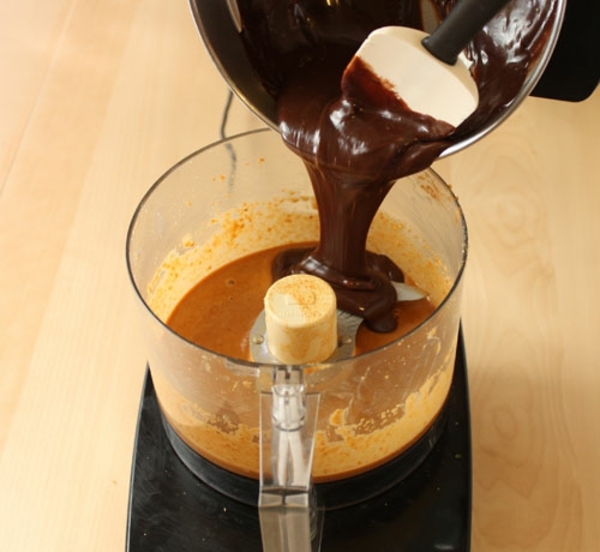 The final step is to add the warm chocolate mix to the bowl of the food processor that contains the liquefied hazelnuts. 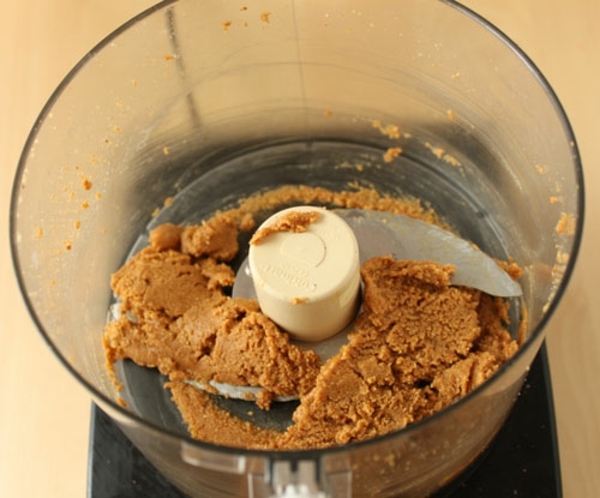 Process the mix for 1-2 minutes more, until it smooths out, loses a little graininess, and gets shiny and smooth. 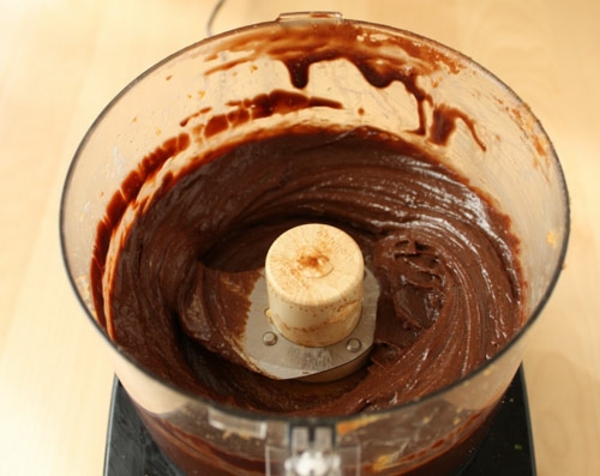 The more you mix the stiffer the Nutella gets, so be sure to stop while it is still nice and spreadable. If you’d like, you can taste it and add a pinch of salt or an extra squirt of honey to suit your taste. I’m usually too busy licking it off the spatula to make any final tweaks, though. 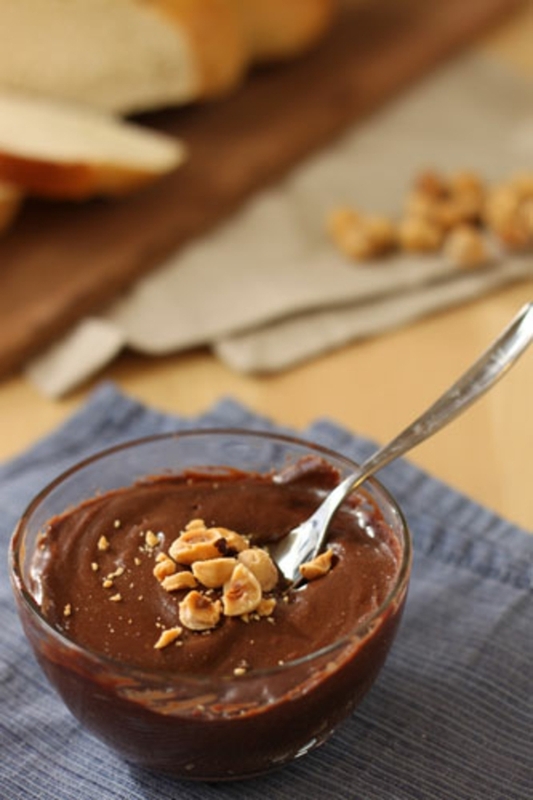 Store your homemade Nutella in an airtight container in the refrigerator for up to one month. I would list all the ways you can eat homemade Nutella, but that list would go on for hours. 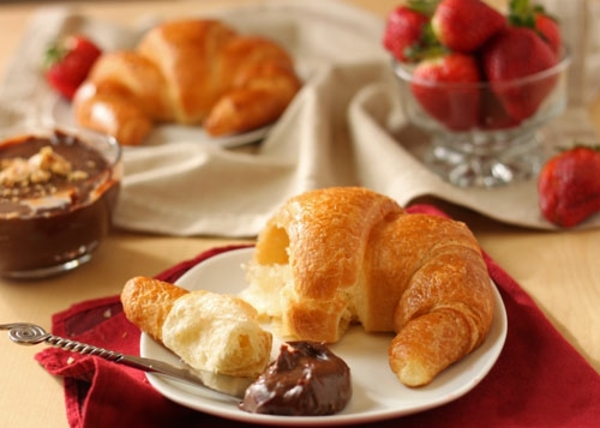 Here’s just a sampling: on apples, bananas, or strawberries, with pretzels, spread on toast, with or without peanut butter, folded into a warm crepe, smeared on a cupcake as a quick frosting, stirred into warm milk to make hot chocolate, spooned over ice cream, swirled into brownie batter, or spread on croissants for the best wake-up you can imagine. February 14th is right around the corner, and now is the perfect time to make homemade Nutella so you have some on hand for baking with or sharing with your sweet on Valentine’s Day.